An astonishing amount of chemical waste is produced in the making of everyday consumer goods, such as antibiotics, blue jeans and cellphone screens. 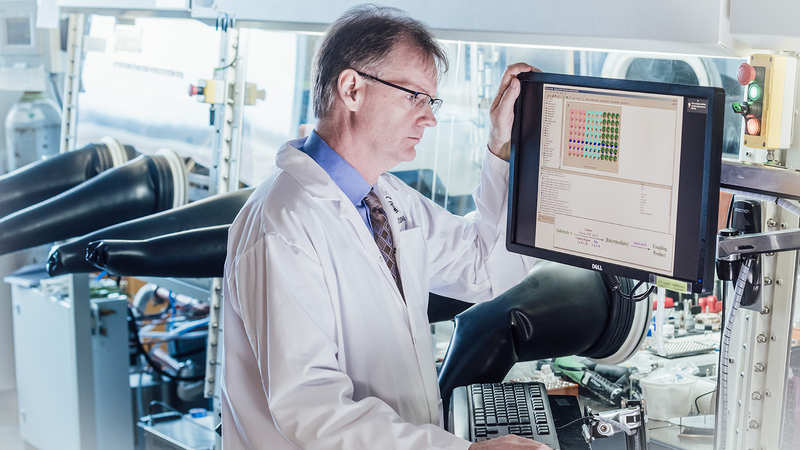 As a leader in green chemistry and director of the University of Ottawa’s Centre for Catalysis Research and Innovation, Michael Organ is keenly aware of the urgent need to develop cleaner manufacturing processes. In the early 2000s, Organ and his research team developed the Pd-PEPPSI family of catalysts. In essence, catalysts are molecules that speed up chemical reactions without being consumed. Organ’s team has developed catalysts that are faster and generate less waste during a chemical reaction than their predecessors. 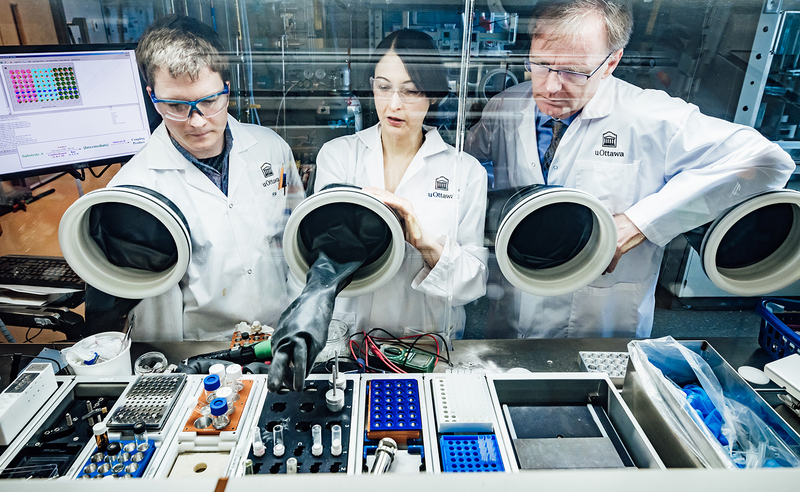 Patented in 2005 and commercialized in 2006, these new catalysts have since been used by some 40 companies in over a dozen countries, mainly to produce fine chemicals for the pharmaceutical, electronics and agrochemical industries. Given that catalysis is involved in the production of most consumer goods, discoveries by Michael Organ and his team have significant economic and ecological potential. These catalysts could fundamentally change the way we manufacture chemicals — for a cleaner future.